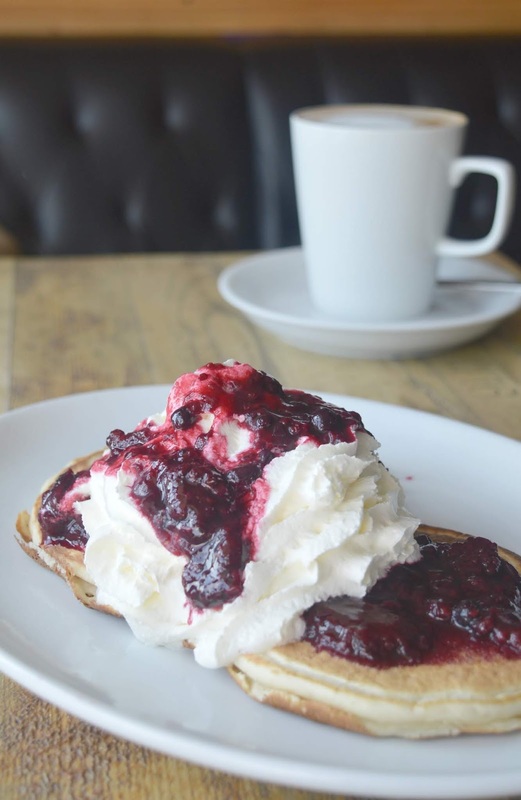 Whitley Bay has become a real breakfast destination over the last few months and my ever growing list is taking quite a while to work through as more and more people tell me about breakfasts I need to try. One place that keeps getting recommended over and over again is Cafe 19, so I decided to bump it up the list and pop in for a solo breakfast one sunny Saturday. Despite it being 8:30 am on a Saturday morning Cafe 19 was already pretty busy when I turned up just after opening (you know somewhere is good when it's that popular so early) with almost all of the outside seating already taken. The front of the cafe is a bit of a sun trap and with plenty of tables outdoors it's become a popular spot to enjoy some breakfast alfresco during the heatwave. For my first visit I decided to eat inside the cafe, choosing a nice table by the window ideal for people watching without having to fight the wasps for my breakfast! 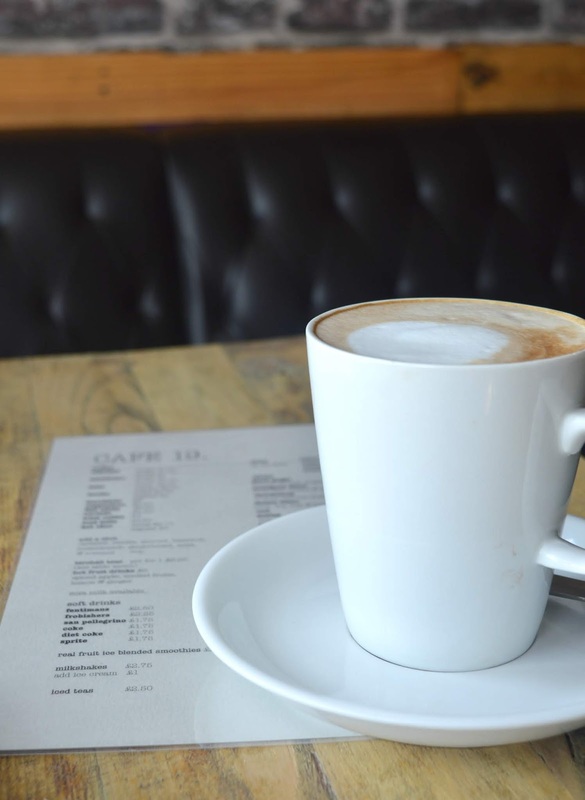 Dining solo gave me the luxury of being able to take my time to fully appreciate the breakfast menu - it's fully loaded with so many choices so a quick decision isn't easy, even as I approached the counter to place my order I was still changing my mind. 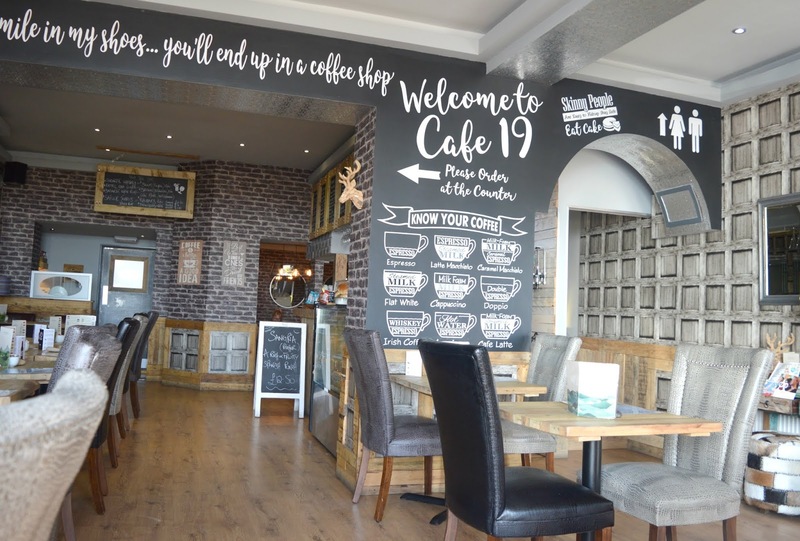 My Saturday mornings always start with a latte and Cafe 19 make a decent cup of coffee, the perfect way to slowly wake yourself up whilst waiting for your breakfast. The breakfast and brunch menu at Cafe 19 is served until 11:30am and is impressively large. Highlights include The English Skillet (£7.50) - English Breakfast served at your table on a frying pan (I will be ordering this next time for sure! ), Creamed Mushrooms (£6.50) and Poached Posh Eggs (£7.00). I think you probably now understand why I was struggling to reach a decision and why I'm already planning my return trip. I have an entire menu to work through! For my first trip I decided to go for Homemade Pancakes - 2 pancakes served with a choice of one topping (£4.00) or two toppings (£5.00). There were a lot of toppings to choose from so having two was a must! I still don't know how I managed to choose between lemon & sugar, chocolate sauce, fresh banana, homemade mixed berry compote, whipped cream, homemade apple sultana & cinnamon compote, mixed toasted nuts, peanut butter, lemon curd or chocolate chips! This bad boy! Homemade mixed berry compote with whipped cream. I had a brief conversation with myself about whether cream turned my breakfast dish into more of a dessert but as it was the weekend and anything goes I went for it. How good does it look? When I posted a photograph on my Instagram someone did reply in horror to ask if it was squirty cream, but in all honesty I hadn't even noticed. Cream in a can definitely isn't my biggest pet peeve when eating out (if you're interested mine is food served on top of a soggy napkin!) and I tucked straight in without a second thought. It was so good! 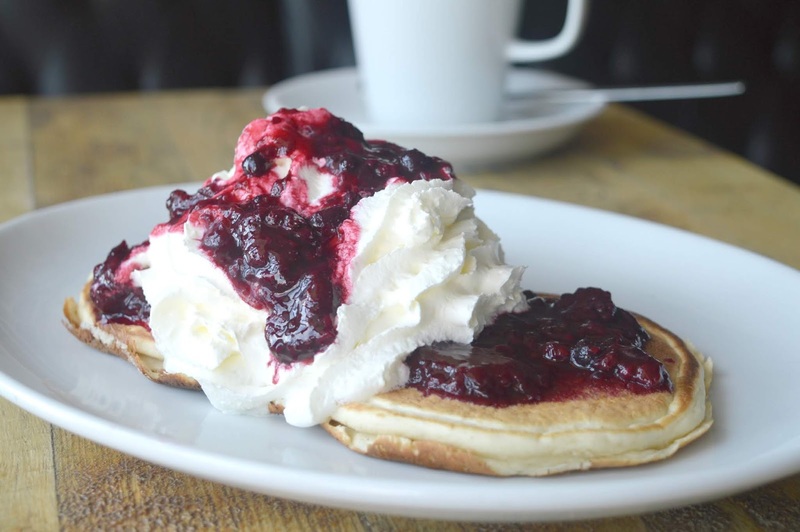 Light and fluffy pancakes absolutely covered in the most amazing zingy berry compote with the slightly sharp edge of the fruit toned down with the addition of the cream. Can you get a more indulgent breakfast? 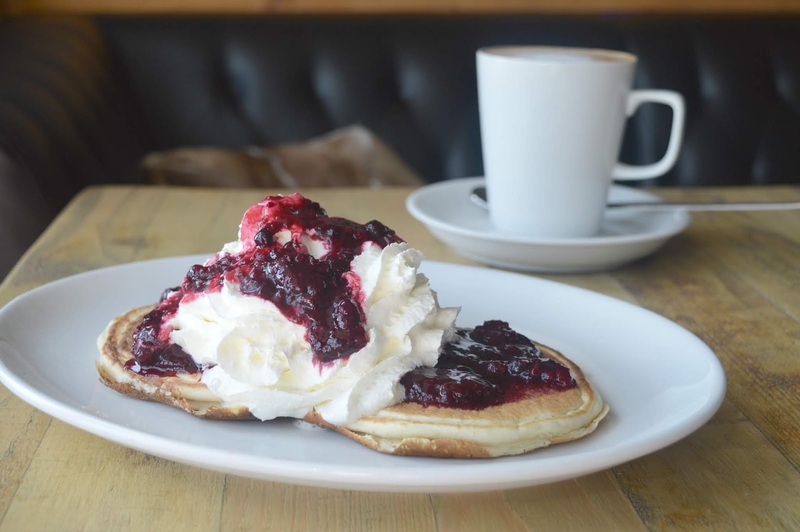 So, that's it, Cafe 19 have a new fan and I need to make many return visits to try out some more dishes, I think I could happily spend the Summer just trying out every possible variation of pancake toppings! Let me know if you've discovered anywhere great for breakfast recently! Those pancakes look absolutely fantastic. I love that they are so light! They were so good, absolutely perfect! I know! Why on earth didn't I order it? !